As a courtesy and value-added service to our customers, Domestic Freighways will file all necessary claims paperwork to a carrier in cases of damaged and/or lost shipped goods in order to expedite resolution of a claim. Transportation claims processing begins with the very first critical step. Failing to properly identify and classify transportation damages will influence and even prevent the collections of transportation claims. Follow these steps to help ensure that you improve the collections of your transportation claims processing. Consignees and receivers of freight must first observe the vehicle door seals, noting their numbers and if the seals are missing, intact, or broken. Immediately report any seal discrepancy to the delivery carrier and not the exception on the delivery receipt. Ensure that both you and the truck driver signs the properly noted delivery receipt. Observe the doorway area of the vehicle and specifically look for damaged goods, product shifting or movement, or broken or displaced blocking and bracing devices. Look in the nose of the trailers or the ends of the rail cars for voids and/or product movement. Report any exceptions immediately to the carrier and properly note the delivery receipt. When any of these exceptions exist, a very careful inspection of the lading is needed to ensure a prompt and adequate damage identification process. Take photographs of any exceptions noted, they will be well worth the money and effort. Carefully identify any damaged goods, noting on a special report al the items damaged, where each is located within the load, nose, center, tail; what each is in contact with, other lading or floor, wall, etc. Ensure that the truck driver has a copy of the damage product report and signs the delivery receipt, which must be made to include the notation of damage, the date, your name, and driver's signature. Cargo damage claims must be filed within 9 months of the delivery date of the goods, or 9 months from the date of the planned delivery if the delivery of the goods is not made. Receivers of the goods must make their best effort the minimize the loss by cost effectively using undamaged gods, repairing damaged goods if possible and cost effective, salvaging the goods at a fair market price, allowing the carrier to pickup the damaged goods, or at least protecting the goods from additional damage while in possession of the consignee or receiver. Transportation carriers must acknowledge the receipt of the claim, in writing, within 30 days of their receipt of the claim, with the written notification including the carrier claim number and any missing information or documentation. All claims must be disposed of within 120 days of the filing date, with disposition being either full payment, offer for a partial payment, or a formal written declination of payment. 1. A copy of a properly noted and signed Delivery Receipt for the shipment showing the status of the delivery. 2. A copy of the carrier paid freight bill to prove that the freight charges are paid. 3. A copy of the vendor invoice to verify the value of the loss. 4. A copy of the carrier inspection report or carrier written waiver of inspection. 5. A copy of the original Bill of Lading proving the shipment was made by the carrier the claim is filed against. 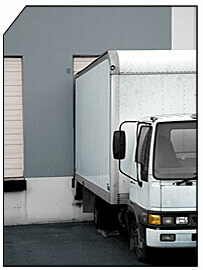 Concealed damage claims must be processed in the following manner. First, upon discovery of the concealed damages, the receiver of consignee must immediately report the concealed damages to the appropriate carrier contact, asking for immediate inspection. The notification of concealed damages must be followed up in writing by fax or e-mail. All damaged goods and packaging must be held for the inspection. Any waivers of inspection must be handled as indicated in our Damage Reporting and Notification Section. It is a proven fact that the discovery of hidden or concealed damages within 15 days of delivery is normally considered as the damage being discovered and properly reported at the time of delivery. However, it is also a proven fact that it is far more difficult to collect on concealed damage claims as the time of discovery and notification passes beyond the 15th day after delivery. 1. Carrier will acknowledge claim within thirty (30) days after receipt, and assign a separate claim number. 2. Carrier will pay, decline payment, or make firm offer of compromise within 120 days after receipt of claim.